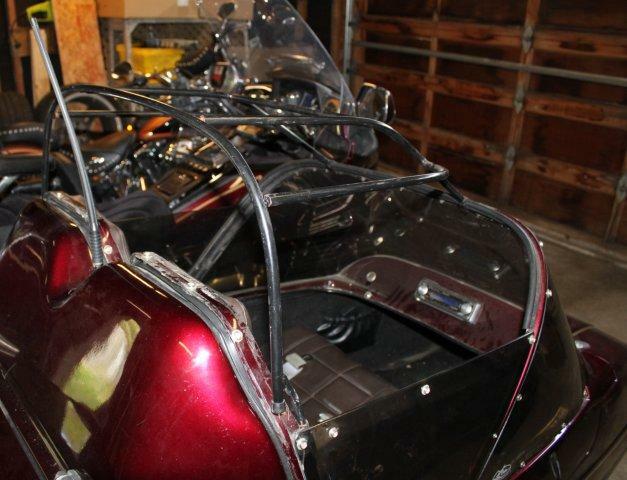 Here are some pictures of California Sidecars and some of their parts. This is the older style FS III with the small hatch and 8'' taillight. This is the frame for the top. This is how the frame hooks to the windshield frame. 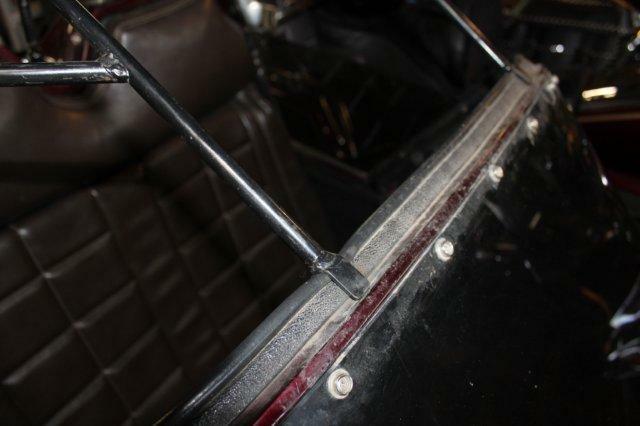 The later style has two slots in the windshield frame for the tubing to set in. This is the rear mount. 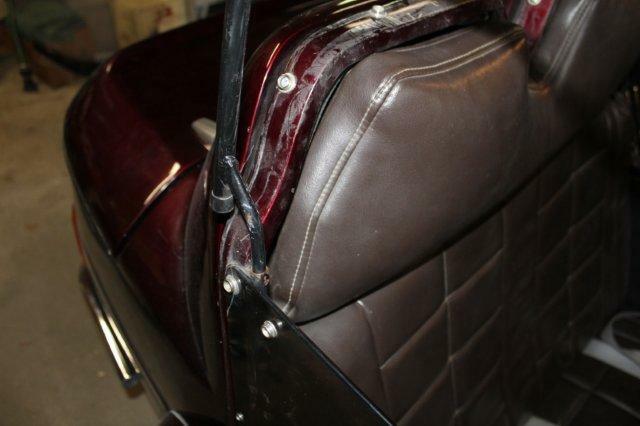 The frame sits in a tube on both sides of the seat. This shows the top snaped in place on the windshield. 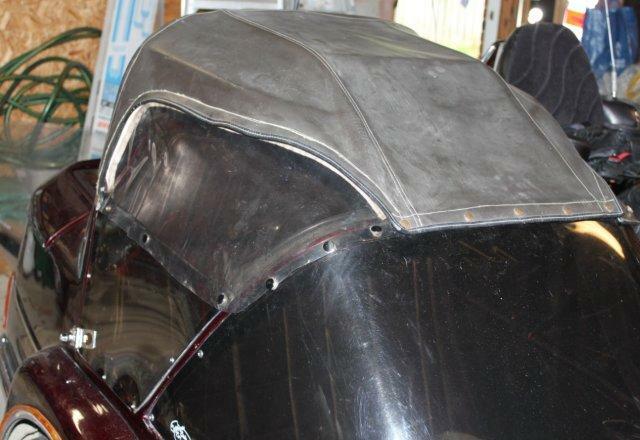 Rain would flow under the top so it was later changed so there is a tube in the front edge of the top and you push it into a C-channel type rubber tube that runs a long the top of the windshield frame this way rain can not flow under it. 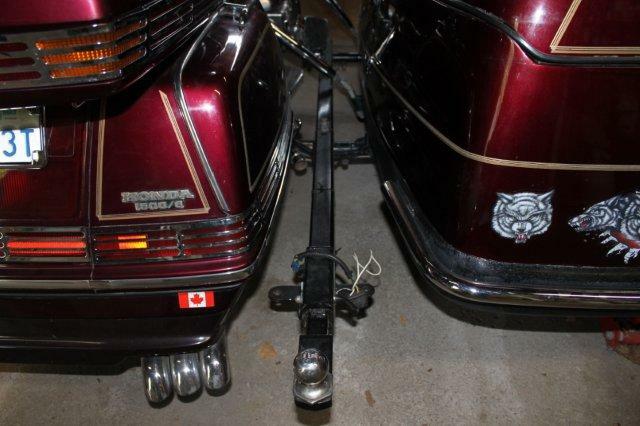 This is how most FS III owners mount a trailer hitch to their sidecar. This is a 1994 FS III on a 1994 GL 1500. It is the newer style FS III with the larger hatch and longer taillight. 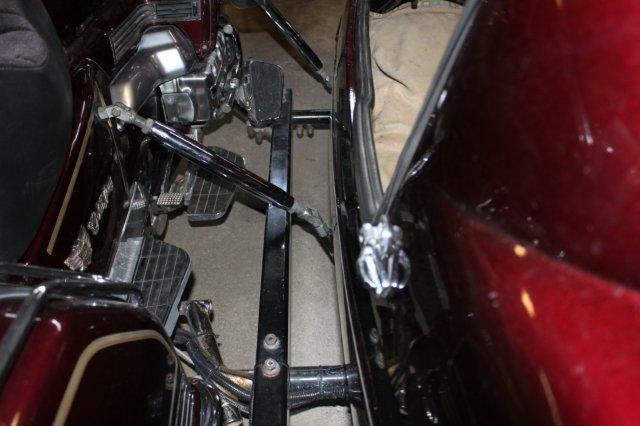 This is the front lower mount on a 1994 Goldwing & 1994 FS III. See the D-ring on the mount, that is used to fasten down the outfit when it on a trailer. The lower rear mount has a D-ring too. 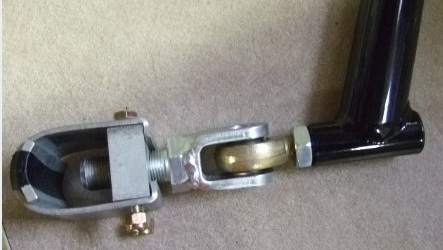 This shows the Goldwing extended frame joint on a FS III. You can tell it is a factory frame because the serial # plate is in front of the weld joint. 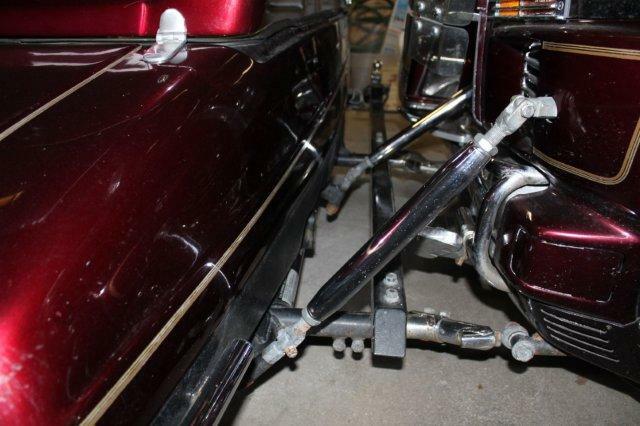 If a rigger had welded a frame extension on a Harley frame the serial # plate would be behind the joint. This is a 2001 California Sidecar Companion GT on a 2001 Harley-Davidson FatBoy. This is the later version of the Companion and was made larger to match the Harley motorcycles in the 1990's and you could get the 16''Harley wheel option or the stock 13'' CSC wheel. 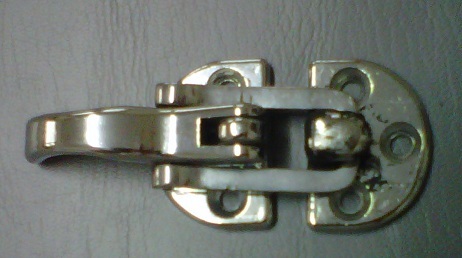 This is a stock CSC FS III hatch latch. This is the old style flower & collet lower mounts you will find on CSC's made from the 1970s to 1988. These mounts should be replaced as they get worn and loose and will not stay in adjustment and can pop apart and ruin your day or worse! This is the upgraded heim joint & clevis lower mount that is the replacedment for the old style flower & collet mounts. CSC switched to this new style mount in 1989. You can get them and any new California Sidecar mounts from DMC Sidecars out in Washington state.